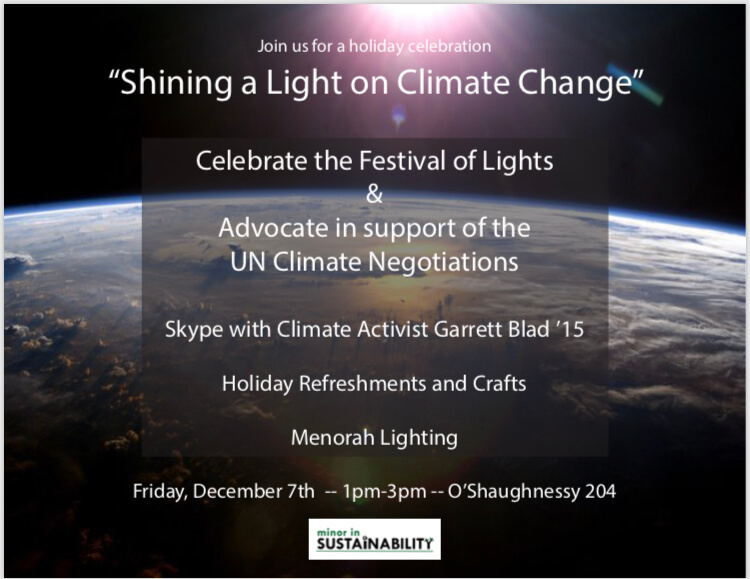 Join us on Friday, December 7th from 1-3pm in O’Shaughnessy 204 as we celebrate Chanukah, the Festival of Lights, Skype with climate activist Garrett Blad ’15 at COP24, and advocate in support of the UN Climate Negotiations. There will be holiday refreshments and crafts, as well as an opportunity to write to local leaders to show support for climate change action. Come celebrate and advocate!